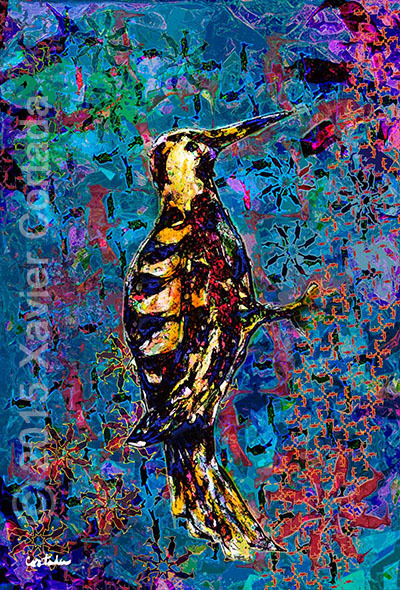 Xavier Cortada, “(Florida is…) Red-cockaded Woodpeckers,” archival ink on aluminum, 60″ x 40″, 2015. Once common in the vast expanses of mature pine forests that covered much of the southeastern coastal plain, the red-cockaded woodpecker (Picoides borealis) is now a federally listed endangered species. Today, the birds’ preferred habitat — the longleaf pine ecosystem — has been eliminated from 97 percent of the lands it once occupied.